In a reprieve for the parents of Aarushi Talwar, the Supreme Court today stayed till July 12 the proceedings in the trial court in Aarushi-Hemraj double murder case. 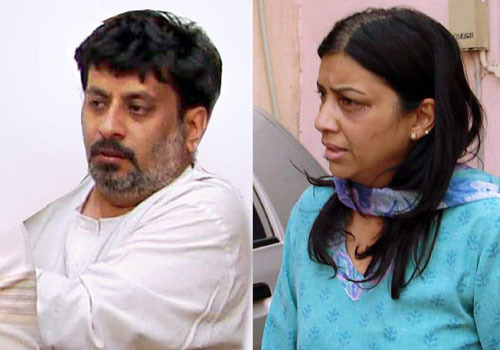 The Talwars are the main accused in the case. A Supreme Court bench comprising Justices B Sudershan Reddy and S S Nijjar granted four weeks time to petitioner Dr Rajesh Talwar and his wife Dr Nupur Talwar to file a rejoinder to the counter affidavit filed by the CBI. The probe agency has stated that both the parents are the only accused in the case. There is sufficient prima facie evidence against the two showing their involvement in the murder of their 14-year-old daughter and their domestic help Hemraj. A ninth standard student of DPS Noida, Aarushi was found murdered on May 15, 2008 at her Noida residence and the body of Hemraj was recovered two days later from the roof of the flat. Earlier, the CBI had filed a closure report that there was no sufficient evidence to charge sheet the dentist couple in the case though Dr Rajesh Talwar is the prime suspect. Dr Talwar approached Ghaziabad special CBI judge court against the closure demanding further investigation. The trial court rejected the closure report and summoned both the parents to face the trial in the double murder case.